Today only, get a 50% match on your deposit, up to $100 bonus. We're sprung on this amazing offer! From April 6th through 11th, get up to 225 Free Spins! Spring is here! Get up to 150 Free Spins on the Million Dollar Slot! Celebrate Spring with CanPlay Casino! Weekend Match Bonus is back! The weekend match bonus is back again! Start your weekend off with $200 in casino bonuses! Everyone loves a Bonusfest and that's why its back! Get up to $400 in casino bonuses Feb 16 to Feb 21. Weekend Match Bonus is back again! While it's freezing outside, stay inside this weekend and get a 50% Match up to $100 bonus to enjoy on all your favourite games at CanPlay Casino. Dream of winning big and vacationing in the tropics with the CanPlay WINTERSPINS promo! From Jan 19th to 24th, deposit $25 and get 10 FREE spins on our Million Dollar Slot Machine. 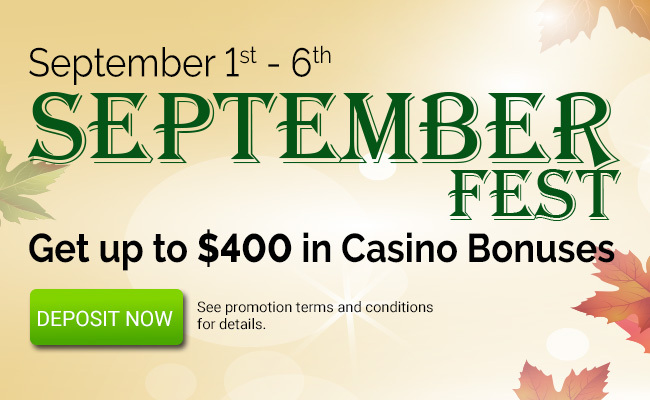 Bonusfest is back with up to $400 in casino bonuses! These red hot special reload are sure to keep you warm from January 12th through 17th! Start your weekend off with $200 in casino bonuses! Surprise Holiday Spins are back! Login at CanPlay Casino for Free Spins - No Deposit Required! From December 8th to 14th, login during Holiday Spins Week at CanPlay Casino for Free Spins - No Deposit Required! From December 1st through 6th, we're offering you THREE TIMES the excitement, with up to $400 in bonuses! Between November 27th and November 28th use the code MYSTERY for a chance to win $25-$100! For one day only, we've conjured up a special bonus just for you! 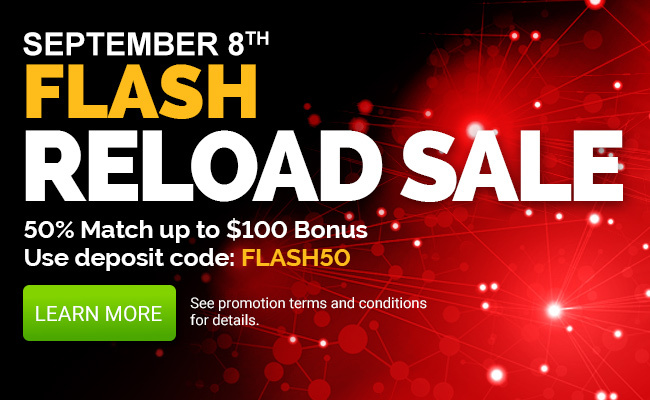 This Saturday, October 27th, get a 50% match on deposit up to $100 bonus using code FLASH50. It's bonus week here at CanPlayCasino.com! From October 27th to 31st, get up to $300 in deposit bonuses. Reload for the weekend! This Saturday, October 13th, get a 50% match on deposit up to $100 bonus. It's bonus week here at CanPlayCasino.com - Get up to $300 in bonuses. Take advantage of our deposit bonus matches from September 24th - 30th. 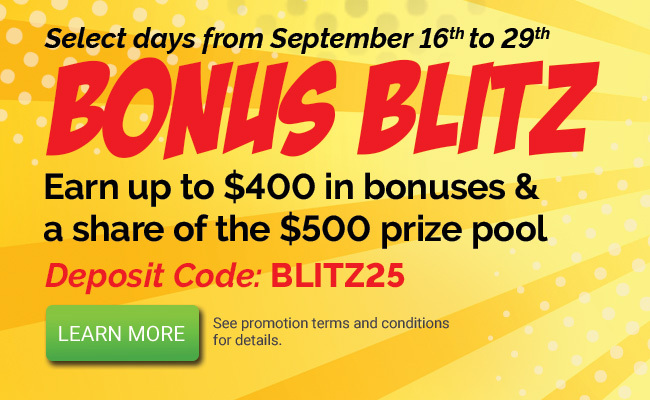 It's a fall Bonus Blitz! Get up to $400 in bonuses + get your share of the $500 prize pool. Select days from September 16th to 29th. On September 8th, get a 50% match on deposit up to $100 bonus using code FLASH50. 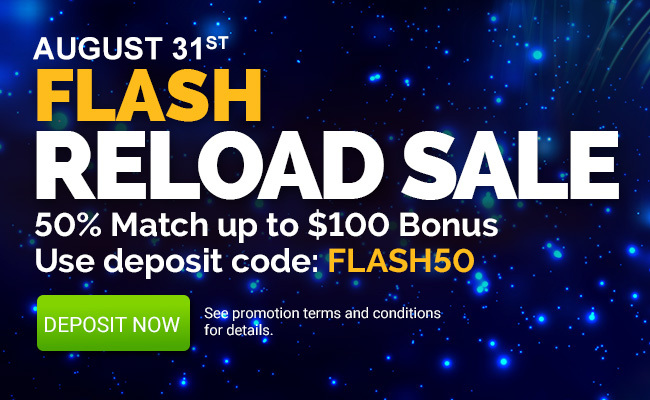 On Friday, August 31st, get a 50% match on deposit up to $100 bonus using code FLASH50. From September 1st to 6th, we're celebrating SeptemberFest. Get up to $400 in casino bonuses!! !